While rugged tablets bring unmatched efficiency and accuracy to workers throughout facilities, organizations and in the field the ability to print in these same remote and diverse locations is just as important. Distributed printing applications can take many forms. These include bar code labels, invoices, work orders, traffic tickets, receipts, schematics, and more. So, the flexibility and efficiency afforded by portable rugged printers can be realized across a wide variety of environments. • Portable, rugged printers for field service, mobile sales, and public safety. 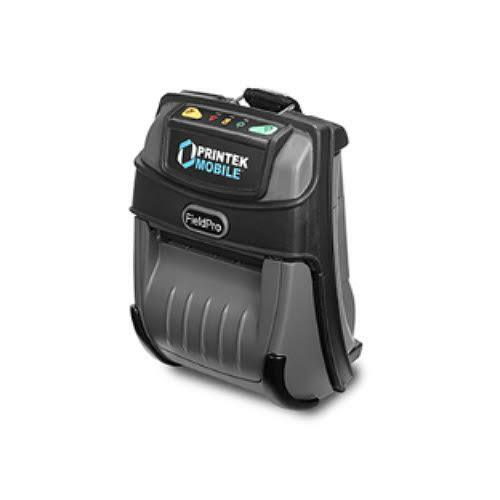 Printek’s FieldPro Series of portable rugged printers offer three and four label, receipt, ticket, and work-order options. Compatible with Windows, Android, and Apple devices, the FP530 and RT43 portable rugged printers offer great print speeds and extended battery life for full-shift printing. Options for reading driver’s licenses and credit cards are also available. • Full page thermal printing is designed specifically for mobile workforce efficiency. Sealed to IP54, the Interceptor 800 is a reliable ruggedized printer capable of numerous applications. The ability to print full pages allows for receipt, ticket, schematic, and invoice printing. Full page mobility brings printing to warehouse, public safety, construction, and field service environments. 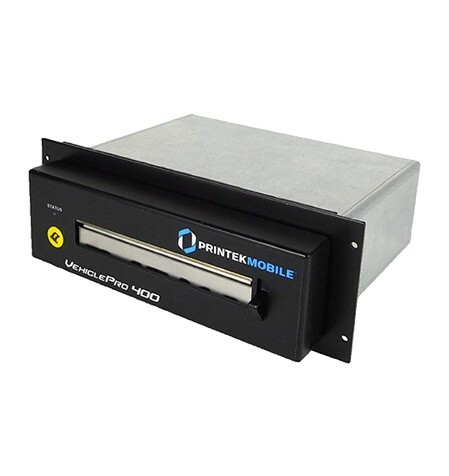 • Printek MtP Series printers are rugged three and four-inch label printers compatible with Windows, Apple, and Android devices. 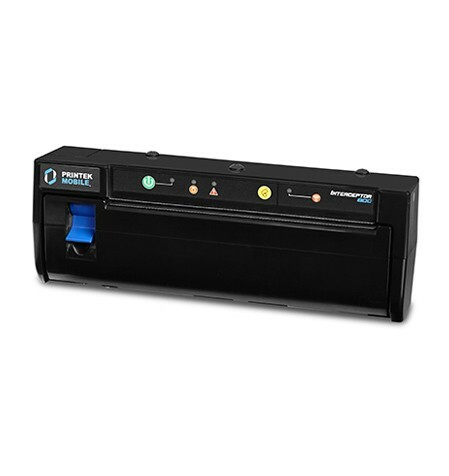 Designed to print maps, receipts, schematics, and labels, the MtP Series portable computer printer is a label printing workhorse. Portability is key with the MtP Series and common uses include route sales, AIDC, and mobile field service. • Today’s public-safety vehicles are jammed with computers, radios, phones, GPS systems, and supplies. 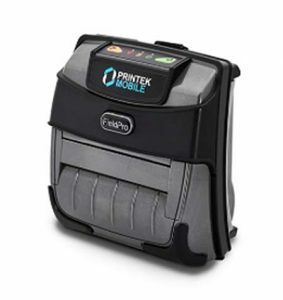 The Printek VehiclePro Series is a 4” thermal portable computer printer engineered and designed to fit into the center console or dash of EMS, fire, and police vehicles. Easy to install the VehiclePro offers rapid setup and use. Capable of printing tickets, patient information, and rip-and-runs, the VehiclePro 400 integrates seamlessly with any public safety vehicle’s data collection equipment. 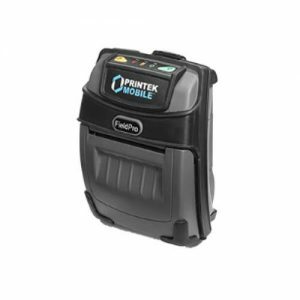 Rugged mobile Printek devices are designed to be as durable as the computers that drive them and as durable as the workers that use them, every day. Ruggedized, high-speed, and mobile Printek dot matrix and thermal printers perfectly complement the variety of rugged tablet, laptop, and forklift computer solutions offered by Glacier Computer.